Having joined Munday + Cramer in 2009, following a year’s post-graduate experience with a large commercial surveying and property management practice based in the South East, Lewis hit the ground running, impressing not only Munday + Cramer’s Directors, but also clients with his diligent approach to his work. 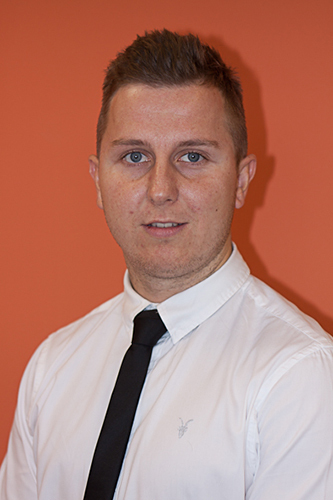 Since joining, Lewis has been subsequently promoted to the role of Senior Building Surveyor and more recently an Associate Director. With a broad range of experience behind him, Lewis was promoted in 2015 to Associate Director and now manages the thriving building surveying department, offering support and mentoring to junior members of the team in order to build upon an already highly skilled team. Lewis has played an instrumental role in the ACMF/CIF bid management process, which has resulted in Munday + Cramer securing over £50m of funding for local academy clients over the past three years. He now leads a team created in 2018, concentrating solely on this aspect of the business. Lewis has had involvement in a number of large and complex projects, which commanded sizeable budgets of up to £1.2m and encompassed various types of works including new builds, refurbishment programmes and condition surveys to name but a few. Looking to the future, Lewis aims to expand and develop his team to further success; growing the department’s workload and client-base, as well as the development of the team’s members.